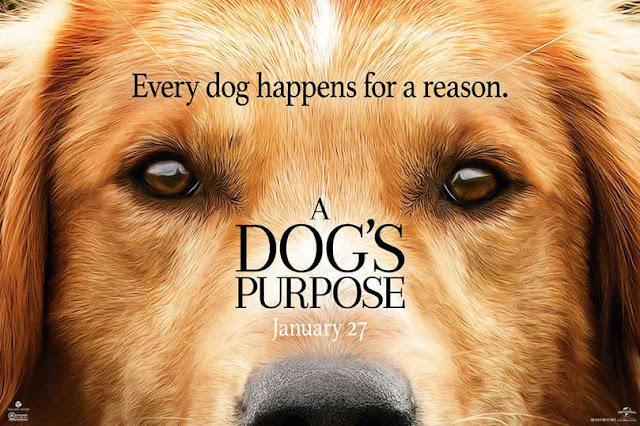 Info: A Dog's Purpose is an American comedy-drama film released in January 2017 based on the 2010 novel of the same name by W. Bruce Cameron. The film stars Bryce Gheisar playing young Eathan, KJ Apa playing teenage Eathan and Dennis Quaid as adult Eathan. Juliet Rylance, Britt Robertson playes teenage Hannah and Peggy Lipton plays adult Hannah. There are also John Ortiz as Carlos, Kirby Howell-Baptiste as Maya and Nicole LaPlaca as Wendi. It is 1 hour and 40 minutes long. Plot: We're first introduced with the dog dying and immediately transferred to the new puppy. The story is told from the dog's perspective so we hear a lot of his/her inner voices and thoughts. Puppy Bailey soon becomes a part of a family with Ethan, his mom and dad who is not really keen on having a dog in the house. After few years, Ethan grows up and becomes a teenager that meets Hannah and they start dating. Also, in Ethan's teenage years, his father becomes a drunk and, after a huge fight, Ethan asks him to leave and never come back. Ethan starts to have a good life when he's finally recognized as a good football player and gets a scholarship for his college. One night, Ethan's classmate Todd throws a firecracker inside his house and the whole house gets on fire. Unable to escape, Ethan and Bailey get out of the window, but Ethan hurts his leg badly enough not to be able to play football anymore. He's desperate and bitter so he breaks up with Hannah. Bailey soon dies of old age. We're introduced then to a new german shepherd puppy Ellie that's a police dog with her police officer Carlos. They go on a mission once and Ellie gets shot and dies. Another puppy gets into the movie. This time is corgi named Tino that accompanies college student named Maya. He has a good life with her and her new family, but dies of sadness and old age after his friend never comes back from the vet. 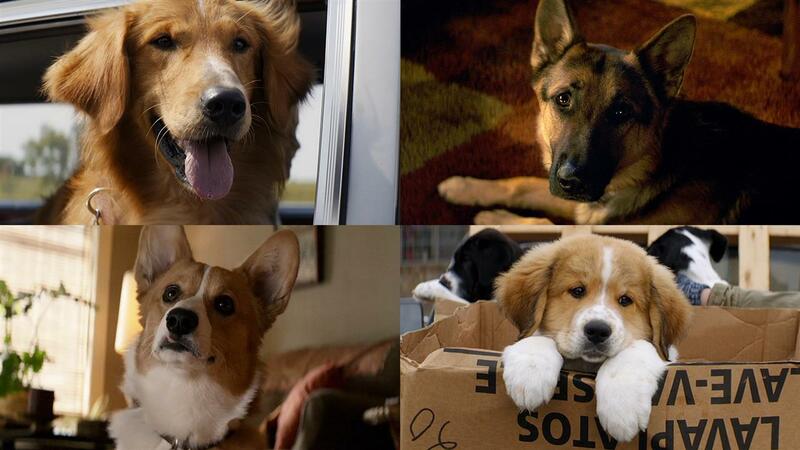 Last puppy is called Waffles, then Buddy and then Bailey again. He starts off as a pet to weird and abusive couple and he escapes. While he's wandering around he gets himself near a park where he notices a familiar smell and he's soon in his old neighborhood. He then finds Ethan who is at his farm, alone and pretty sad. After some thinking, Ethan takes Waffles and renames him into Buddy. Buddy soon reunites Ethan and Hannah, as she was the smell he recognized in the park. After showing Ethan some tricks and responding to some catch phrases only the two of them knew, Ethan realizes it's his first dog Bailey. The movie ends with dog's voiceover: life is about having fun, saving others, not getting caught in the past or regrets, finding someone to be with and living for today. Impressions: At first I didn't get what was happening with dog dying in the first minute, but it all got into place after few moments. I immediately fell in love with all the dogs and the way they're presented. They also went through all stages of life and showed some difference in thinking. As I'm always connected to the dogs anywhere, I felt what he/she was feeling. I was so sad at times and I was also happy for the dog. Bailey dying in the first half of the movie almost made me stop watching it, but I'm glad I didn't do that. It basically only gets better afterwards. Even though I missed the old dog, him coming back in the different looks is totally sweet and an ending I've waited for. Recommendation: I'm a huge dog lover, so of course I loved this. I have to warn you that the plot kinda gets boring in the middle with some changes, but it all comes around in the end. Also, you have to get into the whole reincarnation idea if you want to like it. 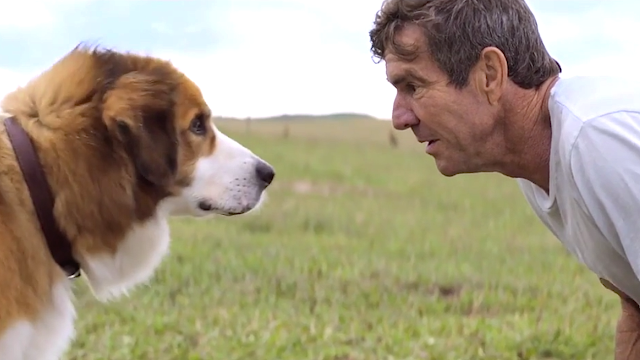 The main character is a dog which may turn you away from this movie, but I promise animals don't talk here. It's easy to follow it and get in the dog character. Although it doesn't have high grades, I would recommend it. It's cute and sad and happy in the same time. Have you watched this one? Did you watch "Hachi: A Dog's Tale"? Is working out only for fit people?